West Palm Beach Movers – Who needs all the hassle that comes with moving? 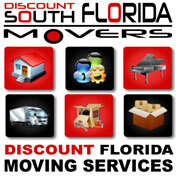 Discount South Florida Movers understands how stressful moving can be and wants to help. Wouldn’t it be great to let someone else do the heavy lifting for you? Our experts can work with you to plan your move and then in a safe and timely manner get your belongings to their new home or business. We guarantee you will be satisfied. We can do as much or as little as you need. If you need to have your belongings securely packed, we can do that. Or if you only need high quality packing materials we can also provide those. Whether you are moving across the street or across the state, call us for all of your residential and commercial moving needs. We also offer the lowest rates around. West Palm Beach is the county seat of Palm Beach County. With 100,000 residents it is one of the three main cities in South Florida along with Fort. Lauderdale and Miami. The city is also the oldest municipality in South Florida, beating Miami by two years when they incorporated in 1894. Like most of the older areas in the region, it expanded rapidly in the 1920s during the Land Boom. There are many attractions in the city ranging from historical points of interest to shopping centers. The county’s first enclosed shopping mall was built here, the Palm Beach Mall. There is also the City Place, a massive urban center that includes upscale apartments and shopping centers. There are also many historical neighborhoods that capture much of South Florida’s early history. Discount South Florida and West Palm Beach movers provide low rates on residential, commercial, piano and long distance moving.